President Donald Trump is trying to address North Korea’s concerns ahead of his potential summit with Kim Jong Un. The North has argued that it needs its nuclear weapons to preserve its security, and expressed concerns about giving up its nuclear program. The North cites the example of former Libyan leader Moammar Gadhafi, who died at the hands of rebel forces amid a popular uprising in October 2011. He had given up his nuclear program in the 2000s. Trump is making clear that he won’t talk about U.S. troop levels in South Korea during the planned meeting with Kim on June 12 in Singapore. President Donald Trump says despite threats by North Korea to cancel his expected summit with Kim Jong Un, planning continues for the meeting set for next month. Trump says his team is currently making arrangements for the meeting scheduled for June 12 in Singapore. He says nothing has changed since North Korean officials warned on Wednesday they might cancel the summit over U.S. insistence on denuclearization of the Korean Peninsula. The Pentagon says there are no plans to change or reduce the scope of the ongoing military exercises between the U.S. and South Korea that triggered an angry reaction from North Korea, casting doubt on the planned summit with President Donald Trump next month. Pentagon spokeswoman Dana White says the schedule of exercises hasn’t changed. She says the annual exercises are long-planned, are defensive in nature and are meant to ensure the readiness of U.S. and South Korean forces. Exercise Max Thunder began on Monday and concludes May 25. It includes aircraft from across the U.S. military services. Last year’s exercise included roughly 1,200 U.S. personnel and about 640 South Koreans. This year’s drill is similar. 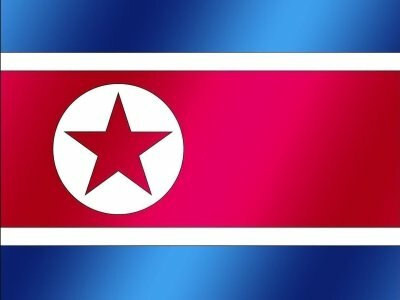 Pyongyang has said it won’t return to talks with Seoul due to the exercises.